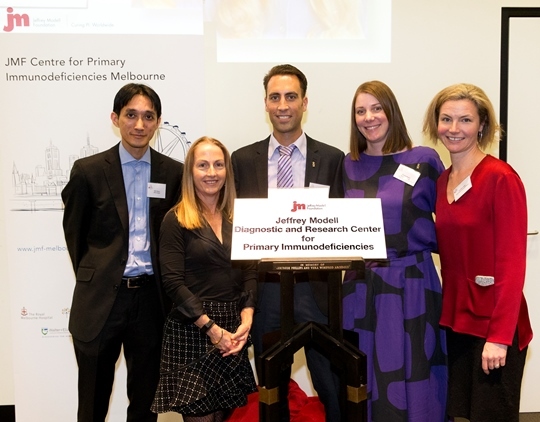 The Jeffrey Modell Foundation Diagnostic and Research Centre for Primary Immunodeficiencies launch. L-R: Dr Julian Bosco (Alfred Health), Dr Joanne Smart (Royal Children's Hospital), A/Prof Menno van Zelm (Monash University & Alfred Health), Dr Vanessa Bryant (WEHI) and Dr Charlotte Slade (RMH, WEHI). 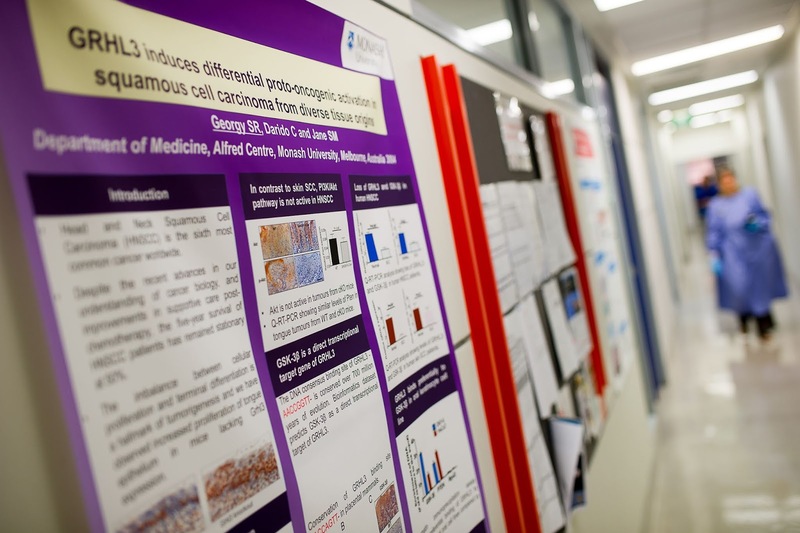 ﻿﻿﻿﻿Central Clinical School (CCS) has regular seminar series and postgraduate presentations. Event notices are posted on the CCS Events calendar. There are 176 entrants this year. Their abstracts are published in a booklet. You will be able to browse the posters in the Alfred corridors. 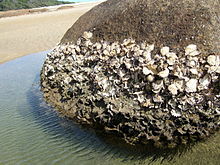 Oysters on a rock at low tide. Shellfish allergy is one of the most serious of all allergies, on a par in terms of severity with the life-threatening reactions experienced by people allergic to peanuts. Yet it is sometimes hard to diagnose and tell which type of shellfish is the problem. Now, Monash University scientists have made a big step forward in diagnosis for allergies caused by molluscs, an important shellfish group. 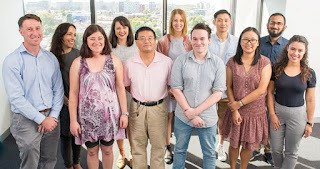 The scientists from the Allergy Lab (AIRmed and Immunology & Pathology), CCS, characterised for the first time allergens of four commonly eaten Asia-Pacific molluscs: Sydney Rock Oyster, Blue Mussel, Saucer Scallop and Southern Calamari. 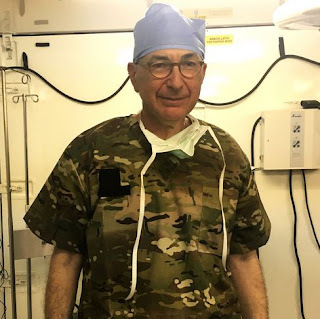 A leading military surgeon says Australian hospitals should become familiar with US military trauma guidelines to better prepare them for terrorist attacks or other mass casualty events. 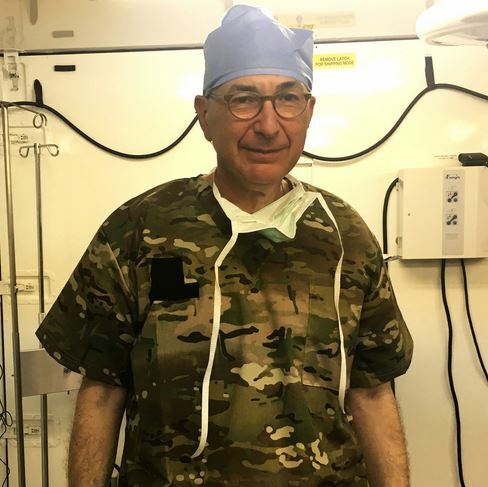 Professor Jeffrey Rosenfeld, a senior neurosurgeon at The Alfred Hospital, Professor of Surgery at the Monash University and a Major General in the Australian Defence Force, is also calling for civilians to be trained in haemorrhage control through the ‘HemCon’ course developed by the American College of Surgeons and the Hartford Consensus in the US, recommendations made after a US school shooting in late 2012 in which 20 children were fatally shot. A multidisciplinary collaboration investigated the world's largest, most catastrophic epidemic thunderstorm asthma event that took place in Melbourne, Australia, on Nov 21, 2016, to inform mechanisms and preventive strategies. 11 of the coauthors are affiliated with Monash University including several from the Department of Allergy, Immunology and Respiratory Medicine, Central Clinical School. They write, "Convergent environmental factors triggered a thunderstorm asthma epidemic of unprecedented magnitude, tempo, and geographical range and severity on Nov 21, 2016, creating a new benchmark for emergency and health service escalation. Asian or Indian ethnicity and current doctor-diagnosed asthma portended life-threatening exacerbations such as those requiring admission to an ICU. Overall, the findings provide important public health lessons applicable to future event forecasting, health care response coordination, protection of at-risk populations, and medical management of epidemic thunderstorm asthma." Donald Cockroft writes in a published comment in the same issue, "An unusual observation was the high prevalence of Asian or Indian ethnicity among the patients, including six of the ten deaths." Melbourne's population is one quarter Asian and Indian ethnicity, yet they were almost two fifths (39%) of those presenting to emergency. Congratulations to Saeed Alrashdi on his PhD completion! Jenny and Devi were Saeed's PhD supervisors. Congratulations to Saeed Alrashdi on his successful completion of his PhD! Saeed's thesis is titled, "The pathogenic effects of Endothelin-2 in the retina: Interactions with angiotensin II and aldosterone". 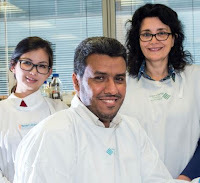 Saeed was supervised by Professor Jenny Wilkinson-Berka and Dr Devi Deliyanti, formerly in the Department of Immunology and Pathology, and more recently in the Department of Diabetes. Jenny's research group has been working on diabetic retinopathy for a number of years. Congratulations to Andrew Guy on his PhD completion! 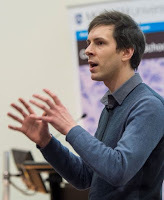 Congratulations to Andrew Guy on his PhD completion! Andrew's thesis is titled, "Computational approaches for examining the impact of protein structure and dynamics on malaria immunity." Andrew's main supervisor was Dr Paul Ramsland (50%), and co-supervised by Prof James Beeson and Dr Jack Richards, all of the Burnet Institute. Congratulations to Professors Kit Fairley and John Wilson for Queen's Birthday Honours! Congratulations to Professors Christopher ('Kit') Fairley and John Wilson for their Queen's Birthday honours! Prof Fairley was awarded an Order of Australia (AO) for distinguished service to community health, particularly in the area of infectious and sexually transmitted diseases, as a clinician, researcher and administrator, and to medical education. Prof Fairley is the Director of the Melbourne Sexual Health Centre within the Central Clinical School, and has a long and extensive track record of publications on the prevention of sexually transmitted diseases, and the care and treatment of people suffering from those diseases. See more publications. 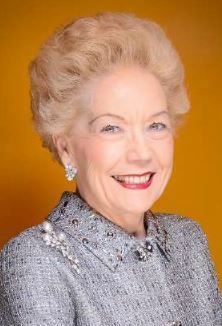 Prof Wilson was recognised as a Member in the General Division of the Order of Australia (AM) for significant service to medicine, and to medical research, in the field of respiratory disease, and to professional organisations. 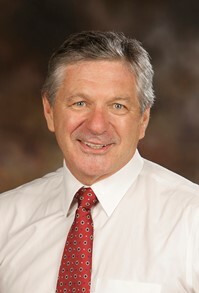 Prof Wilson is a respiratory physician and joint head of Alfred Health's Cystic Fibrosis Clinic. The Alfred Precinct of Monash University has started a Journal Club series that will be run solely for students (Honours, Masters and PhD). 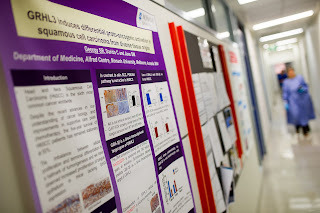 Its purpose is to enable students to gain confidence and experience in presenting papers in a journal club setting, as well as bringing students around the AMREP campus together for both social and collaborative interaction. While many departments in this Precinct do already run a Journal Club, this one is aimed solely at students, to help train them in presenting in a non-intimidating setting, amongst their peers. 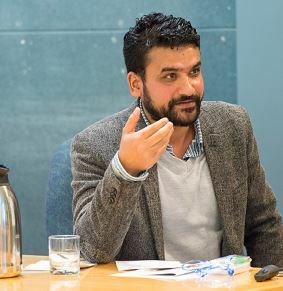 Each presentation will be chaired by an Early/Mid Career Researcher to provide feedback and also aid with any questions that are raised about the presented paper.